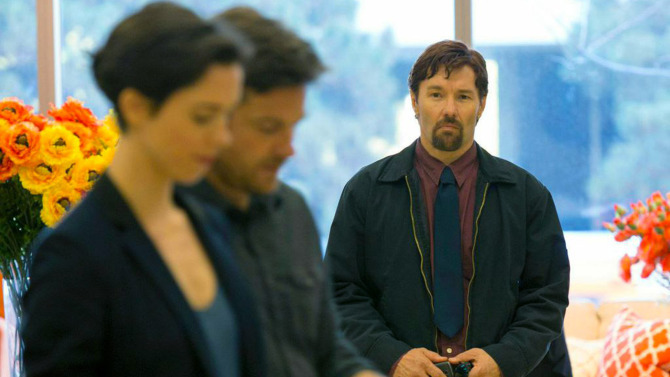 In The Gift, married couple Simon (Jason Bateman) and Robyn (Rebecca Hall) move back into Simon’s California hometown after the unexpected loss of their unborn child. The first snaking shots of their new house are an immediate sign of their status. Simon is successful at a well-paying job and is on the verge of a promotion. Robyn is happy doing freelance work from home. Seemingly, life in the pair’s little world is picturesque.